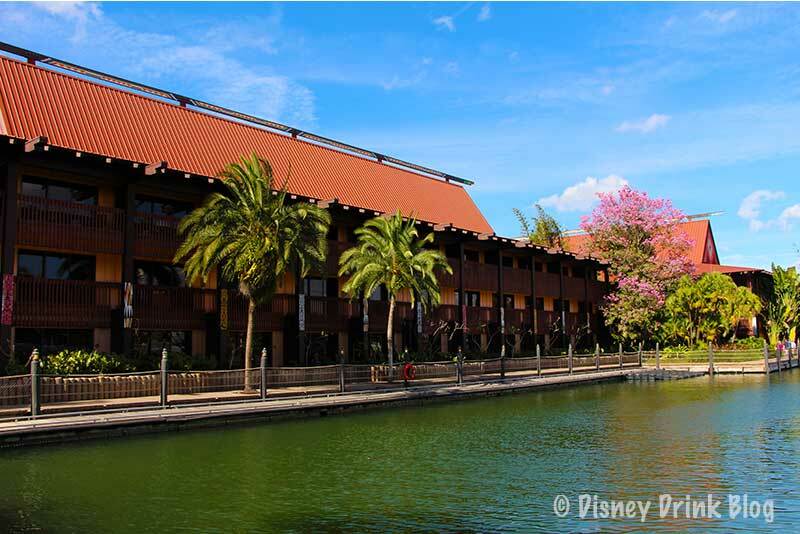 The Polynesian Village Resort is one of the original WDW Resorts, opening in October 1971 with the Magic Kingdom. The “Poly” is both a Disney World Resort and a Disney Vacation Club property. The theme here is the South Pacific tropic islands. 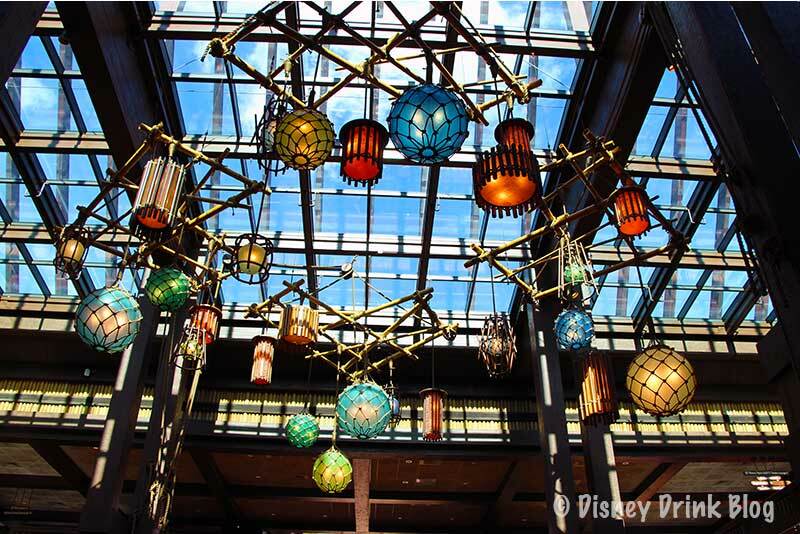 The Poly is themed on the South Pacific with tropical palms, lush vegetation, and white-sand beaches. You can watch the Magic Kingdom fireworks from the beach! Guests stay in two and three-story Hawaiian “longhouses” situated around the four-story Great Ceremonial House. The resort is co-located with the Disney Vacation Club’s Polynesian Villas and Bungalows, which shares amenities with the The Resort. 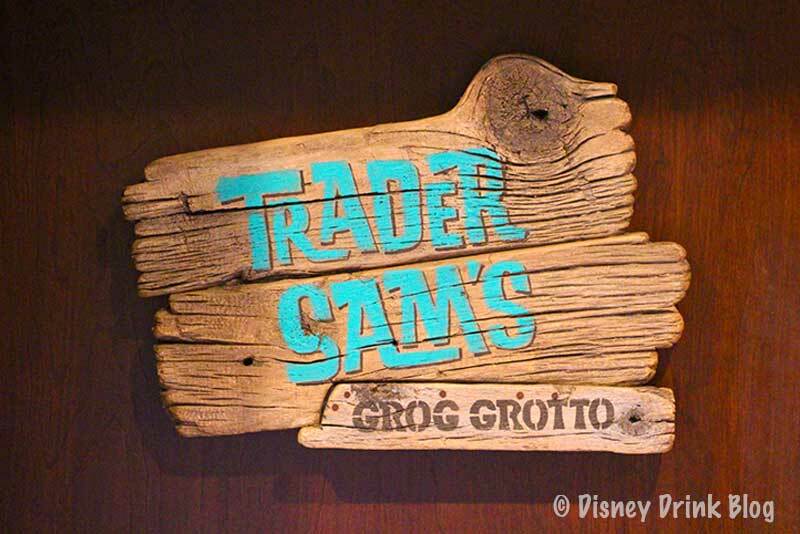 Trader Sam’s Grog Grotto – This indoor, limited capacity Lounge is very popular causing long waits. 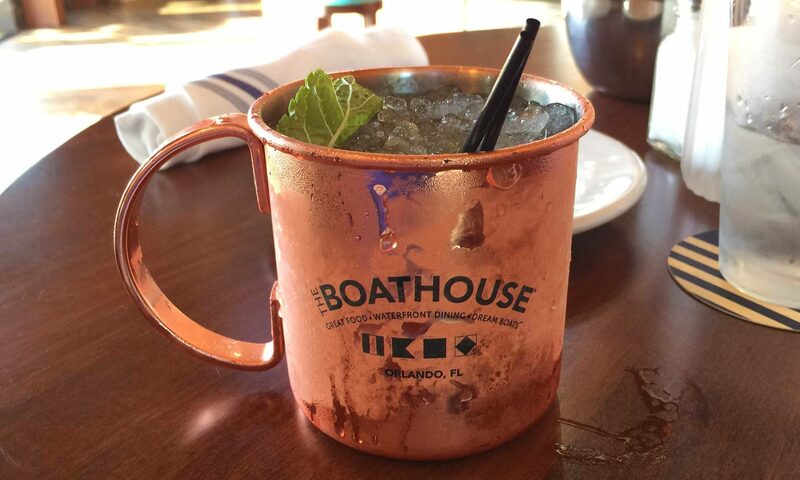 Serving fruity drinks, many in souvenir cups and asian inspired apps. Trader Sam’s Tiki Terrace – Enjoy the same menu as in the Grotto outside with shorter waits and live entertainment. Seating is at round deck style tables with umbrellas. 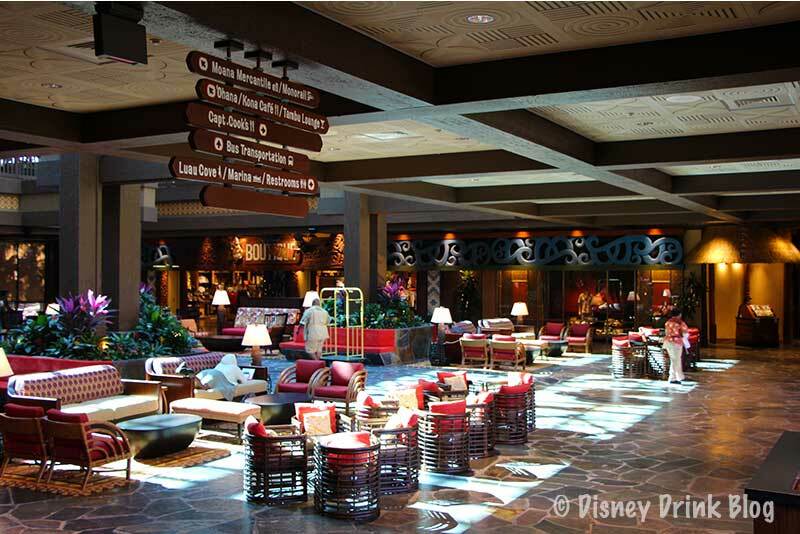 The Tambu Lounge – Is located on the second floor of the lobby area near the restaurants. Home of the Lapu Lapu, a tropical drink served in a hollowed out pineapple. The Barefoot Pool Bar – Is located by the main pool. The Oasis Bar & Grill (Pool Bar) – Is located by the quiet pool. Spirit of Aloha Dinner Show – D – Table Service – Features South Seas-island native dancing followed by an all-you-can-eat “Polynesian-style” meal. ‘Ohana – Table Service – ‘Ohana’s meals are all served “Family Style.” Platters and bowls are delivered to the table for you to serve yourselves and are refreshed as often as you’d like. Dinner features, Sweet-n-Sour Pork Loin, spicy grilled peel-n-eat shrimp, Szechuan sirloin steak, noodles, tossed in a teriyaki sauce with fresh vegetables, and stir-fried vegetables. ‘Ohana bread pudding à la mode with bananas-caramel sauce is for desert! Kona Café – Table Service – Enjoy great Pan-Asian specialties including, grilled kona coffee-rubbed pork chop, togarashi spiced ahi tuna, pan-Asian noodles, and sesame seared sea scallops. Kona Island – A small sushi counter next to the Kona Café. Capt. Cook’s – Quick Service – Typical breakfast items plus Tonga Toast (banana stuffed sourdough bread, battered and deep fried), lunch and dinner many types of sandwiches and flatbreads with a Polynesian flair: aloha pork sandwich, teriyaki chicken sandwich, coconut curry meatballs, the big kahuna, and Hawaiian flatbread to name a few. Pineapple Lanai – Quick Service – Offers Dole Whip soft serve, a WDW cult favorite. Frozen pineapple slush, served by itself or with vanilla soft serve swirl (my favorite!). Pineapple juice floats are also available. If you are interested in staying at the Polynesian Village Resort, get a quote from our recommended Fee Free Travel Agent, Ears of Experience.